The Yoruba in the six south-western states of Nigeria were bound to be in the good books of whoever won the 2019 presidential election. The reason is simple enough: they spread their votes between the ruling All Progressives Congress (APC) and the Peoples Democratic Party (PDP). To use a popular expression, the Yoruba did not put all their eggs in one basket. Alhaji Atiku won in two of the six states, namely, Oyo and Ondo. President Buhari emerged victorious in Lagos, Ekiti, Ogun and Osun. Even so, both Buhari and Atiku scored up to 25 per cent of the votes cast in each Yoruba-speaking state. Against this backdrop, one person who should be celebrated for his foresight and courage among the Igbo is Governor Willie Obiano of Anambra State. As the 2019 general election approached, Governor Obiano advised his Igbo people to review their new strategy of block voting for a particular candidate and his party in every major election. He premised his call on the fact that there is no certitude in elections. Any person, and not necessarily the person we want or the person favoured in polls, can win. Events have now vindicated the governor. President Muhammadu Buhari of the APC had all but won the 2019 presidential election overwhelmingly by the time this brief commentary was being written. Many Igbo feel bereaved because the PDP candidate whom they backed without reservations has been well defeated. There is a difference of over two million votes between the APC and PDP candidates. This is a case of history repeating itself. Four years ago, the Igbo adopted Dr. Goodluck Jonathan, then the sitting President, and his PDP in the election. They campaigned for him with unimaginable fervor. He was given an Igbo name Azikiwe, the name of Nigeria’s first President. Even Jonathan’s Ijaw name of Ebele was made to sound like a popular Igbo name with the same spelling. Most Igbo people were convinced that Jonathan would win. After all, no incumbent Nigerian President had been defeated up to 2015. But Jonathan lost the election with some two million votes to Buhari. The situation was such that many Igbo people felt that it was not Jonathan that lost the election but the entire Igbo people. Governor Obiano was one of Jonathan’s key supporters. Having learnt from the mistake of an entire ethnic group of several millions putting all its eggs in one political basket, Governor Obiano this time courageously called the attention of his people to the grave risks inherent in block voting. It is imperative to learn from mistakes of the past, otherwise the same mistakes will be repeated. Albert Einstein, one of the greatest scientists in human history, is reputed to have described madness as repeating the same mistake over and over and expecting a different result. As a popular Igbo adage goes, a wise person does not fall on the same stump twice. It need be pointed out that Governor Obiano has not been alone in calling the attention of Ndigbo to the dangers of not spreading their political risks. Senator Onyeabo Obi of the Second Republic has been another voice of reason, courage and wisdom in this context. Just before the 2019 general election commenced, this scion of the of the family of the legendary Chief Z.C. 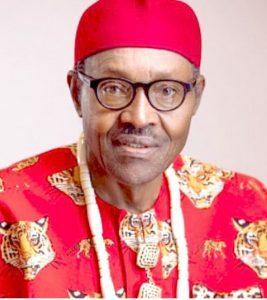 Obi, president-general of the powerful Igbo State Union in the First Republic, told newsmen in his hometown of Nnewi, Anambra State, to resist pressure from self-serving politicians to railroad Ndigbo into block voting because it is not in their strategic interest. Widely regarded as among the three most effective senators in his heyday, this octogenarian reminded his people that African rulers are often vindictive, punishing those who did not show support to them during elections. The victims are sometimes whole ethnic groups. It is pitiable that the leadership of Ohanaeze Ndigbo succumbed to the pressures of politicians and other misguided elements by endorsing a particular presidential candidate and his party in the 2019 general election. The candidate has now lost big time. And once again, many Ndigbo are feeling like political orphans who are marooned on the island of nowhere. Perhaps, the ongoing skirmishes between street urchins and Igbo traders in Lagos are an outcome of the perception that all Igbo people, as exemplified by their umbrella organisation, are hostile to APC leaders and members across the country. We pray that similar skirmishes will not occur in other parts of the country, especially the North. Governor Obiano did counsel that it was not prudent for the apex socio-cultural Igbo organisation to be seen as partisan, instead of being neutral or apolitical. It should never be seen as being no longer for all Ndigbo because it has been hijacked by certain interests. If only Ohanaeze officials had heeded the wise advice of far-sighted and courageous Igbo leaders like Governor Obiano and Senator Onyeabo Obi, the Igbo condition in today’s Nigeria would have been different. All well-meaning Igbo men and women hope that this is the last time Ohanaeze officials would endorse a particular candidate and his or her party in the presidential election. Let individual Igbo voters exercise their civic duty without being goaded into how to do it by any ethnic organisation. In the meantime, such courageous and thoughtful Igbo leaders as Governor Obiano and Senator Obi deserve our gratitude. They are ahead of most of their generation.